Information or Knowledge sharing has always been an accurate way to connect with consumers. It helps in establishing credibility and gain trust. Disseminating knowledge is an honest, credible and neutral way to build loyal customer base, and also to win over the ones we are trying to entice. Content marketing is basically the creation, curation and distribution of valuable content that helps a company to drive interaction with the brand or service. Content creation should directly impact brand, product and service awareness, which will ultimately influence lead generation and customer acquisition. What works best as content marketing for a B2B marketplace? The content has to be sharp, trustworthy, and relevant to customer needs and business decisions. This will eventually help sales people to maintain relations with the existing customers and also generate positive lead. 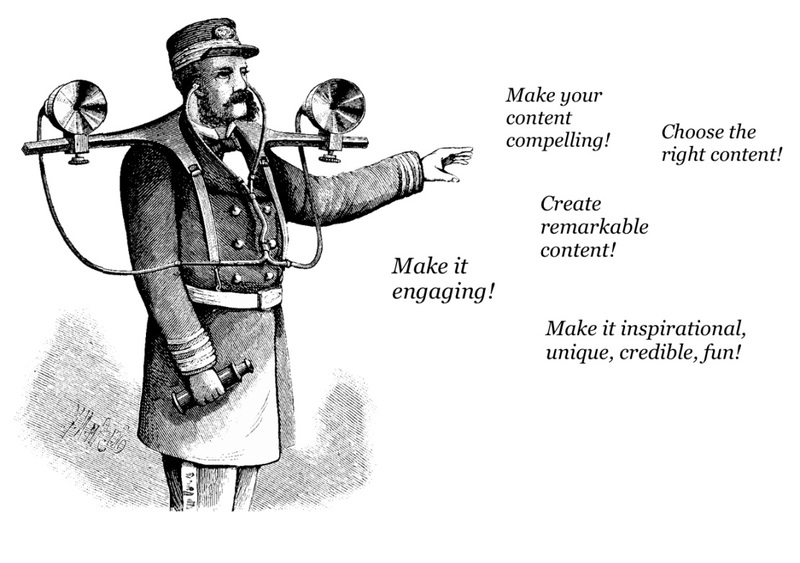 Content marketing plays an important role in a B2B marketing strategy. Organisations and businesses are now more focussed on creating a valuable and relevant content which can attract, engage and inspire their prospects. It is not about developing one thing, instead content creation is about telling a unique story which is compelling enough to meet the ever changing demands and requirements of the business prospects in B2B marketplace. It is should be well planned, coordinated, targeted, and measurable. On an average, B2B marketers employ eight different types of content marketing tactics to achieve goals. US marketers, on average, spend over a quarter of their marketing budget on content marketing. The power of content is not in customers actions. It lies in the way it convinces your B2B prospects-insidiously. He remembers a product rating here, a prospect review there, a blog which references the sellers company, an FB update mentioning the seller’s brand, and maybe the tweet that offered him free shipping. All these things get accumulated in the mind of a buyer as he considers a purchase. As a final verdict it is not the content on the landing page that convinces the buyer but the perception that the different pieces of content has created to make the final call!